Each season an array of denim//chambray dresses pop up and honestly, I'm usually un-phased. 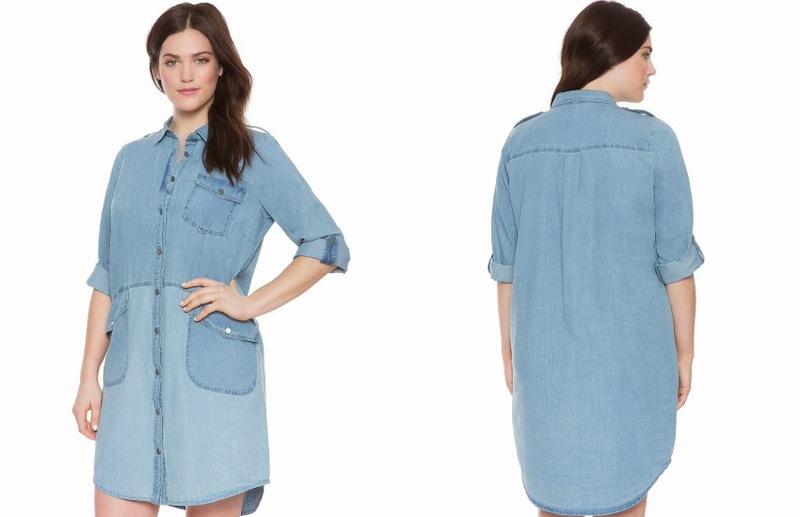 Maybe it's little too preppy or is riddled with branded hardware (my least favorite thing on clothing) however, this denim shirt dress is right up my alley. It's so forward and looks like it could be found at any of my favorite straight size retailers (hint, Zara) - a dress a girl of any size would covet. The oversized pockets, front seams and seamless back make me feel things. Get it here.